Dato' Seri Ong Ka Ting, Minister of Housing & Local Government for launching this guide book on 29 June 2004, Tuesday at 10.00 am, Level 5, Block K, Pusat Bandar Damansara, Ministry of Housing & Local Government. HBA's CEC would also like to thank all distinguished guests, members and the media who had supported this event. Thank you all! 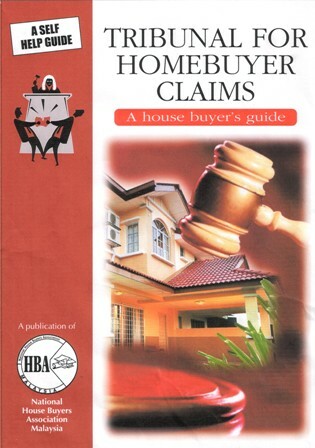 © 2001-2009, National House Buyers Association of Malaysia. All Rights Reserved.